The social assessment of Okiura and Oshii's violent tale of what happens when beasts become involved in the affairs of men. To query the endurance of organizational comfort is to question the guise of consciousness that swells within every being. 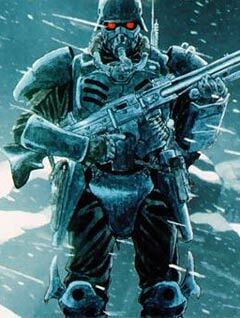 Jin-Roh: The Wolf Brigade will consume you. 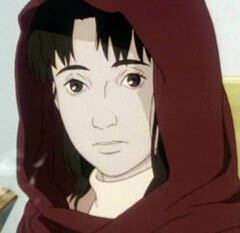 The Japanese animated feature film Jin-Roh: The Wolf Brigade, scripted by the legendary Mamoru Oshii, is a production that endeavors to enlighten its audience's perception of societal usefulness, and it endeavors to offer an alternative understanding as to just how and why the true wolves of society exist. The true wolves are weary-eyed, satirical beasts that haunt all phases of reality. As to how and why such individuals exist in society -- as to how and why they serve to as mentors to the frigid wildness of raw, uncontrolled emotions -- Jin-Roh: The Wolf Brigade illustrates a complex fusion of thoughts and beliefs to determine what it is that constitutes "this thing [that] is like a wolf..."
To be concise, the being whose energy is keyed to surviving a world bound by socio-political ineptitude and occupational drama is a wolf. 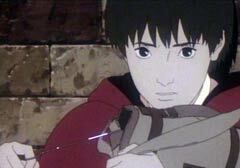 In the anime feature film Jin-Roh: The Wolf Brigade, we are introduced to Constable Kazuki Fuse of the Capital Police Special Unit, an individual comprehending fully the meager justices brought about by bestial incentives. Fuse works every waking day for this special division of armored troops, whose sole purpose is to suppress activist movements. As the film begins, a particularly large clash is anticipated between the underground radical group known as the Sect and the local police. Just as the Sect starts to organize a particularly forceful demonstration in Tokyo, the Special Unit and Kazuki Fuse move out. Fuse's unit comes into contact with a scattered assortment of terrorists in the sewers underground, and one by one, the pack of government military officers hunts them down. One of the terrorists is a little girl, a minor, carrying a small knapsack over her shoulder. The girl, confronted by the officers -- clothed in their horrifically aesthetic black-plated suits, highlighted by red goggles peering conceitedly beneath the brim of their helmets -- the girl is terrified, and she shrinks back a few steps. Face to face with her is Kazuki Fuse, leering at her down the barrel of his firearm. The soldier, although ordered to, does not shoot the young activist. Instead, he asks "Why?" and waits for an answer. Instead of replying with a reason for helping terrorists run amok throughout Tokyo, the girl pulls on a deftly hidden pin from the edge of her knapsack... only, it isn't a knapsack; it's a bomb. Seconds of silence tick by as Constable Fuse muses at the girl. A moment later, one of Fuse's comrades tackles him just as the pin-pulled bomb, held tightly in the little girl's hands, detonates. 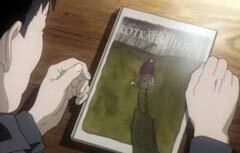 This incident of Kazuki Fuse not pulling the trigger is the source of conflict for the story at large in Jin-Roh: The Wolf Brigade. Fuse goes back to the Academy to train, politicians question the efficiency of the Special Unit, and opinionated divisions of military forces are seeking a political voice. However, in the midst of all of this is the story of a man pulled caught between the temptation of living as a free, romantic human being and the temptation of re-assimilating back into the fold of the regime. Kazuki Fuse is more than likened to a wolf throughout the feature film; he embodies the essence of the devious, untamed beast. He is an evolved form of the playful and daring nature that many associate with the free spirited renegade because circumstances demand it. Cursed with boundless energy, he is a beast who must work to maintain societal stability and remain within the boundaries of the "pack consciousness" as wrought by social and political undercurrents. He is a beast who must dictate social evolution. 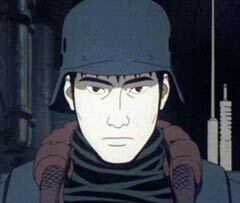 Jin-Roh: The Wolf Brigade illustrates that in order to do all of this, the true wolf must exist. One of Fuse's old friends from the military academy reassures of this at one interval. "You can't let your emotions get the better of you and still do this kind of work." The special armored unit of soldiers of which Kazuki Fuse belongs to serves as the guardians of public order. As such, it is a part of their purpose and function to disperse what anarchic deliberations that any one citizen may have in regards to the status of social norms. Fuse has a battle-driven mentality, but it is not until he is confronted with the drama of reality that he begins to try to understand that not only is his purpose the suppression of the sanity of others, but it is also the suppression of the attempts of those suppressed to reach outside of their given realm of influence. When he has trouble pulling the trigger and killing the bomb carrying Little Red Riding Hood, Kazuki Fuse does not hesitate because he is wavering between some fiendish mockup of good and evil. It is because he is seeking validation for his actions. "There is a kind of logic that [the activists] follow," one of Fuse's comrades notes, "which we will probably never be able to understand." This comes as a response to Fuse's unwillingness to act in the heat of battle, a response to his inability to see the incentives of all of the parties involved. What Fuse didn't know was that the little girl hoped to make a difference, or rather, to differentiate reality. Although this may sound like a rather easy motivation to comprehend, Fuse cannot recognize it due to the fact that his role is to keep things in order. For him to be a guardian of public order, he must sacrifice personal thought to a collective social hierarchy. There is another point made clear in regards to the existence of the ancient agony of the wolf. Fuse himself is beginning to feel the need to separate from all of those that he knows and follows in favor of an undisclosed and obscure affection of the unknown. With the transient search for validation comes the need for knowledge, and his yearning to settle the "blame" of circumstance leads him into dangerous territories. 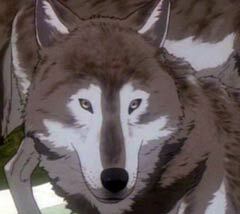 Kazuki Fuse is still very much a wolf, leaving nothing to second thought, curiosity, or disorder. However, his disillusionment of becoming someone else and breaking away from responsibility is hazardous. Independence denotes a lack of being a part of the collective Pack Consciousness, and as notions of separation come and go ever so slightly, they give birth to Fuse's understanding of how and why he survives the way that he does. He slowly ventures to question if it is worth leaving the pack, only to die alone, or is it better to invest in the primordial sin of the pack? The continuity and comfort of the Pack Consciousness is not something that an unstable individual such as Kazuki Fuse should forgo anytime soon. While I would not venture to say that Fuse toys with the notion of breaking free of established, hierarchical boundaries, I would comment that his close encounter with death did stimulate his emotional sense of worth. Instructed by the pack to remain as a part of group thought, we find in this internal conflict a wounded animal who finds comfort in living as a beast rather than in the care of humankind, as noted by Tobe, an instructor of the Capital Police training academy. The wolf witnessed in this particularly troubled man is a smaller piece of a much larger military complex, regardless of how effective he may appear to be as a stand-alone example. The politically savvy and socially sensible association of which our protagonist belongs to holds the understanding that in order to mold a more familiar society, and before a planned economy can be established or an industry will burgeon, a vicious rise of violence must overtake the country. Jin-Roh: The Wolf Brigade is one of the most passionately violent anime films ever fashioned with the intention of utilizing bloodshed as a vivid metaphor for just how dark and gruesome that the psyche can be. As a result, we find in this anime a society where public order is governed by the aggressive influence of martial law, and a conservative group conscience is dictated by a bloody, fierce and oftentimes cruel awareness. This is true for the survival of the wolfish spirit of Fuse and his allies, as well as for the evolution of society at large. In order to properly evolve the culture of the mind and its surrounding environments, one must bring balance to a fragile inner-government, reestablish the value of the working class, and provide a function for those who find comfort in participating in the impartial judgment of society. In order to do all of these things successfully, only the sincere admission of violence is necessary. It is only with the public mortification of dangerous façades and the evident devastation of what casual mechanizations of societal incongruities that presently exist that communal evolution will ever take place. The true face of being will survive the desolation of the obscure, and the believable disguise of absurdity will fall to the revelation that wolfish dogma is the only genuine principle of progress. Thus the imperativeness of a guardian of public order, the significance of group consciousness, and the merit of social evolution are principal enough to understand that the chore of cognitive thought is a developing viewpoint, so as not to become a villain of harmony.